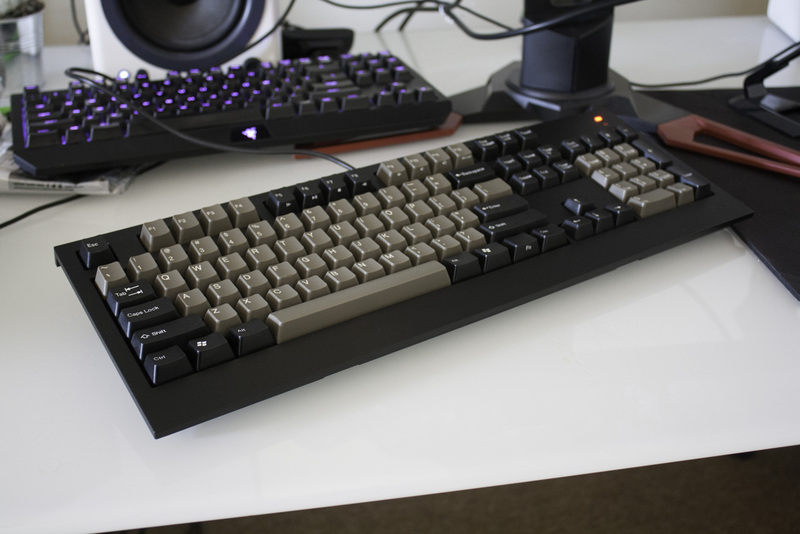 Today we’re looking at KBP’s full-size keyboard, the V100. 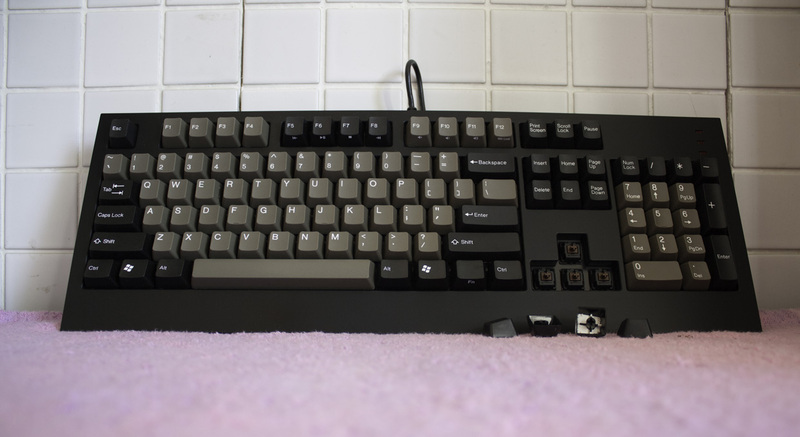 This board combines Cherry MX Brown switches with doubleshot keycaps in Dolch or Olivetti colour schemes. Let’s take a closer look. The V100 has a full-size American (ANSI) layout, including a number pad on the right hand side. Various modes — caps lock, num lock, scroll lock — are shown via red LEDs on the right hand side of the board. There’s also a Fn layer, which allows access to media controls on the F keys — you can skip tracks back and forward, play/pause, stop, adjust the volume and mute. 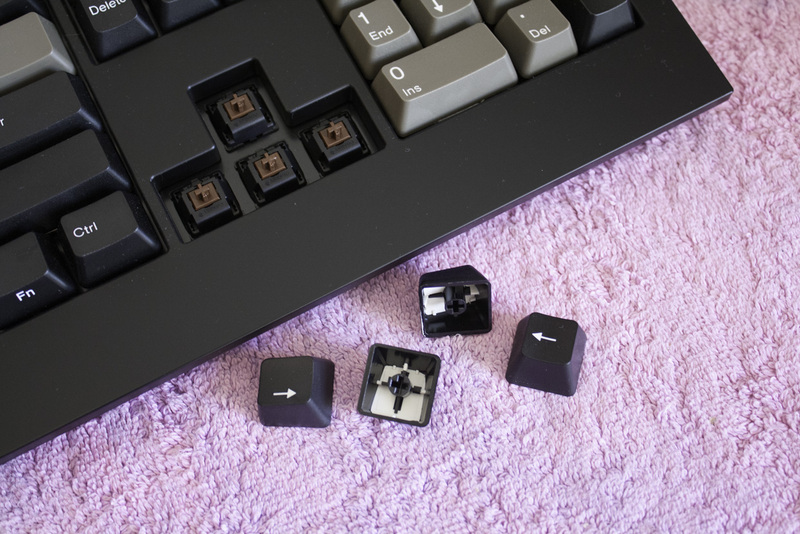 There’s also a gaming mode key (Fn + F12) which disables the Windows keys to prevent accidental presses mid-game. 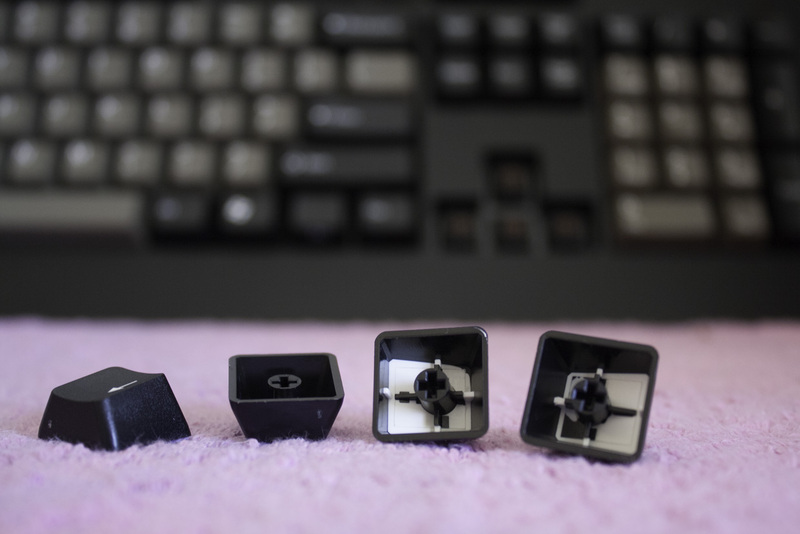 One of the best parts of the KBP V100 is that it comes with high-quality double shot keycaps right out of the box. That means the legends will never fade away, even as the surface of the keycap is worn. This kind of keycap is more complex and expensive to produce, but it does produce a quality result. 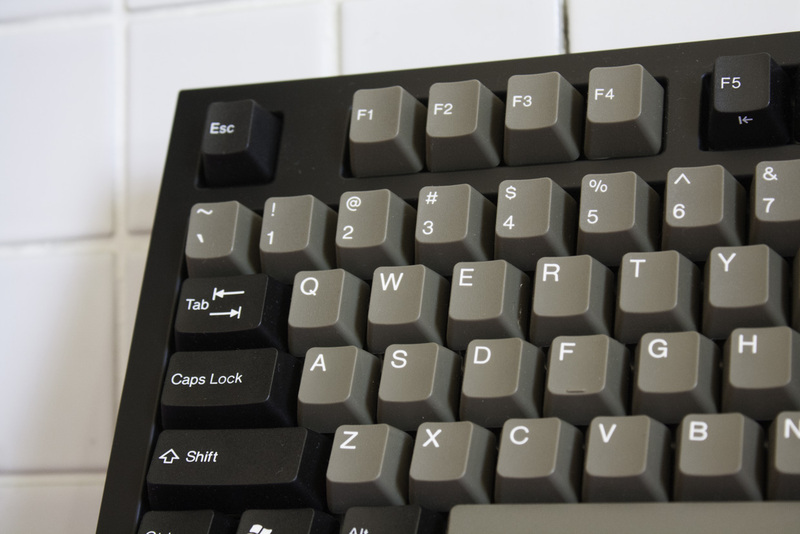 We’re offering two classic colour schemes for the keycaps: Dolch and Olivetti. 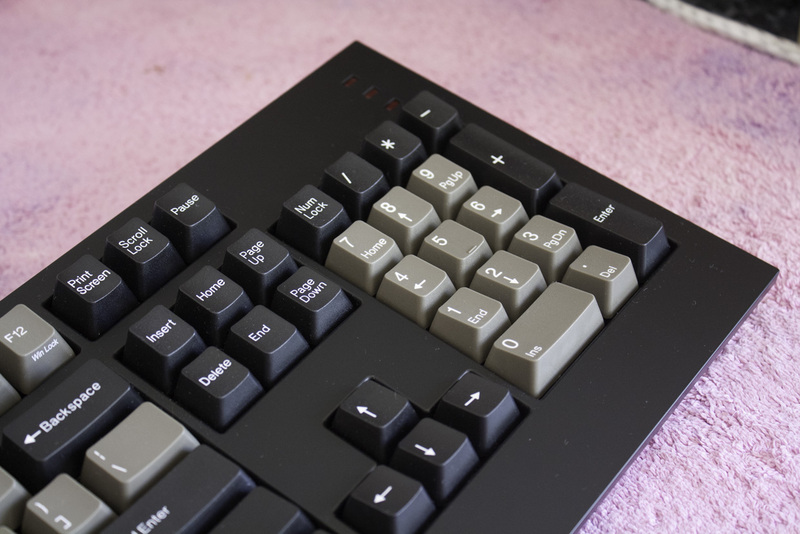 Dolch is rendered in black and brown with white legends, while Olivetti opts for white and grey keycaps with dark blue legends. Both offer retro styling, evoking memories of the keyboards of old. 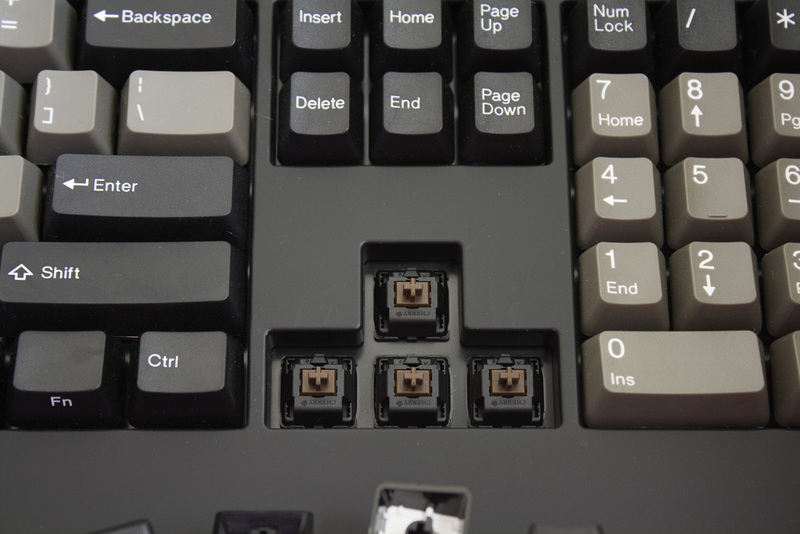 If you ever decide to replace these keycaps, you’ll find it easy to do so thanks to their standard layout. Underneath the keycaps, you’ll find Cherry MX Brown switches. These offer a nice blend of good tactile feedback and a low actuation force, making them comfortable to use for extended periods. I personally also find them a great gaming switch, particularly for strategy and shooter titles. All in all, it’s a solid full-size keyboard that serves as a nice alternative to KBP’s smaller efforts. If you like KBP’s style but don’t want to give up a number pad, F keys and other accoutrements with a 60% or 80% keyboard, the V100 is an awesome choice with great keycaps. In order to get to grips with the V100, I used it as my primary keyboard at home for a week. That week included five days of writing and editing (around 2,000 words per day), and about 15 hours of playing games including Counter-Strike, StarCraft II and Overwatch. The full size layout means this keyboard is less suitable for portable use or cramped desks; for these situations we’d recommend a V60 or V80 keyboard instead. However, if you have the space for it — and particularly if you like to use the number pad — then the V100 is a great choice. Its bezels are a bit wider than other keyboards, but I didn’t notice this in practice — apart from the bottom of the keyboard, which served as a comfortable palm rest! The V100 served well for both typing and gaming, with a sufficient tactile feedback. It also sounded good, with a nice report, without being overly loud. The standard full-size layout meant I didn’t have to relearn any key positions, and the media keys felt natural and easy to use. I didn’t find any major flaws with the keyboard, which felt well-constructed and of sound design. The only real annoyance was the brightness of the LEDs, which I felt were a bit too bright. However, I got used to this over time, and wasn’t a dealbreaker by any means. 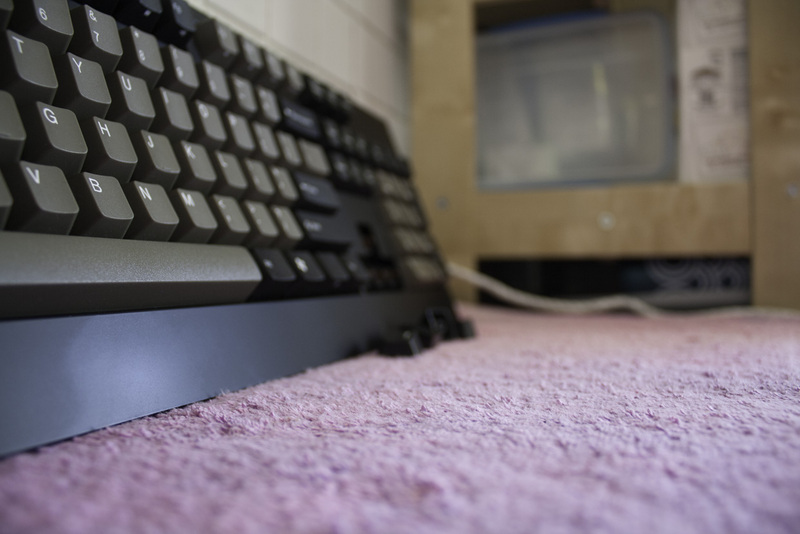 Overall, I enjoyed my time with the V100, and I’ll be sad to see it returned to KeyboardCo HQ! It felt great, looked good on my desk and it makes me want to put double shot keycaps on more of my keyboards! Thanks for checking out the article, and be sure to share your thoughts via the comments below. You can also reach us on Twitter @keyboardco, or at facebook.com/keyboardco. Thanks again and enjoy the rest of your week!